Yamaha has enhanced the colour options on the FZ-S 150cc twin disc brake equipped premium motorcycle. The two new colours added to the Yamaha FZ-S twin disc are Darknight and Matte Green. These colours are in addition to the Armada Blue colour that the Yamaha FZ-S Twin Disc has been available in, since its launch. The motorcycle is one of Yamaha’s best-sellers, and can be credited with turning around the company’s fortunes nearly 10 years ago, when it was first launched. 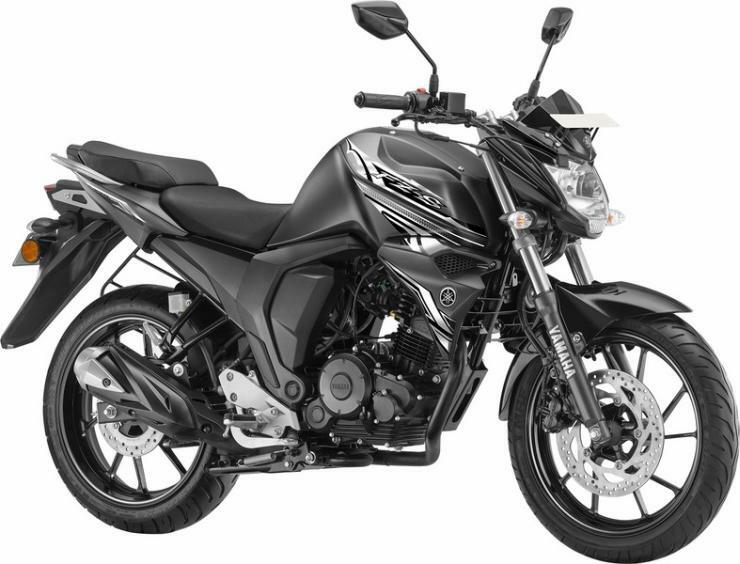 In its second generation in the Indian market, the Yamaha FZ-S has received a slew of stylistic and mechanical changes. The motorcycle now offers fuel injection, revised styling and features. It’s powered by a 149 cc fuel injected, SOHC four stroke engine that puts out 13.2 PS of peak power at 8000 rpm, and 12.8 Nm of peak torque at 6000 rpm. The engine is known for its smoothness and excellent reliability, and is paired with a 5 speed manual gearbox. Fuel efficiency isn’t a strong suit of this motor considering the fact that it has to deal with a massive (for its segment) 140 section rear tyre. In fact, the fat rear tyres was one of the original Yamaha FZ’s major selling points and the Japanese motorcycle has retained this significant trait in the newer models as well. The Yamaha FZ-S is a very sweet handler, and one ride on the motorcycle will leave you feeling that it can do with a few horses extra. Such is the brilliant handling the motorcycle is capable of, which also makes it a top choice among stunters who work their way around lower horsepower with sprocket swaps. The motorcycle uses beefy 43mm telescopic forks up front, and a monoshock at the rear. The rear disc brake equipped variant gets a 220mm disc brake, increasing stopping power dramatically. ABS is still missing though, and Yamaha has until April 2018 to fit at least a single channel ABS to the FZ-S. The bike is priced at Rs 86,042, ex-showroom, Delhi. « Maharashtra CM Devendra Fadnavis’ Tata Safari SUVs FINED 13,000 rupees: Here’s why!